The launch of the PAMIS Challenge 25! 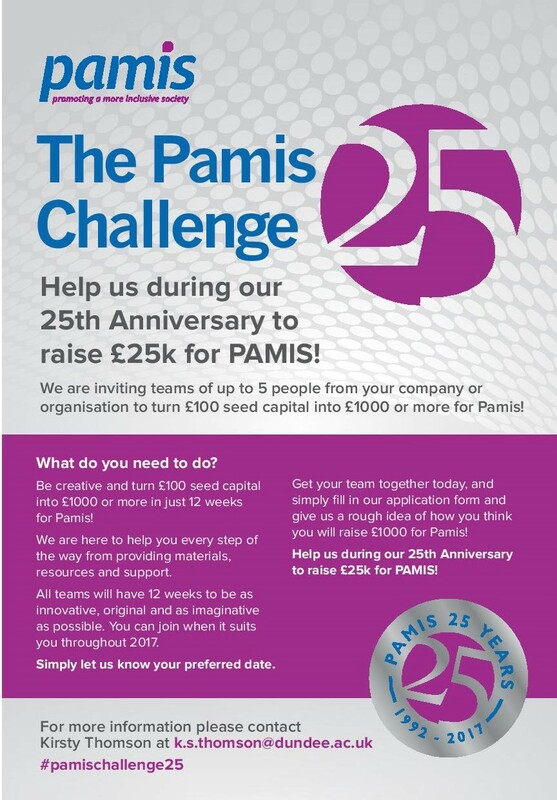 We would be delighted if you would join us at 2pm on Friday the 17th of March at the PAMIS head office in Dundee for the launch of the PAMIS Challenge 25. We would like to tell you all about our charity and how your support will make a difference to people with profound and multiple learning disabilities and their families across Scotland. Come along on the 17th of March to find out more and take away our information pack which will include an application form and even 25 fundraising ideas to start the creative process!